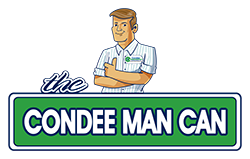 Read the latest news from "The Condee Man"
In the late 1950s, Don Condee built and was part owner of a couple of radio stations in the St. Louis area. "We exchanged advertising tradeouts with some of our clients," said Don. "It worked like the bartering system. That was how we originally started coming to Florida." Only a couple businesses have served the island continuously since 1969 and Condee Cooling and Electric is one of them. 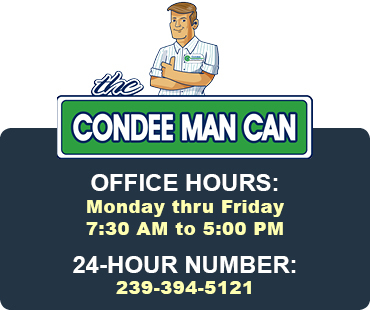 They've served Marco Island and surrounding areas for 42 years. Originally from Illinois, the late Don Condee, Sr., a licensed pilot, found Marco Island in the 1960's while flying back and forth from Illinois to Florida with friend, Ed Husted. Ed worked for Deltona. In 1965 Don, Sr. purchased Marco property and a condo in Emerald Beach. At that time, Don, or Senior as the employees affectionately called him ran a business in Illinois which provided propane gas, elec-trical, refrigeration, heating, and air conditioning services. Seeing the need for similar services on Marco Island, Senior asked long-time employee George Hess (service manager till a fatal motorcycle accident in1999) if he'd like to move to a warmer a climate and George agreed. George moved to Marco Island bringing one truck from Illinois.